Melissa K. Dobson is senior counsel in the firm, and works from Shreveport, Louisiana. Prior to joining the firm, Ms. Dobson worked at General Electric, most recently serving as senior counsel, GE Global Research Healthcare & HC Digital. Prior to that, she held positions within General Electric of interim senior IP counsel for GE Healthcare and Corporate Counsel, Team Leader Healthcare Legal. Ms. Dobson has supported transactions and joint development in the areas of licensing, app development, sourcing, and acquisitions. She has facilitated investigations and compliance initiatives as well as driven IP monetization and IP strategic growth. Throughout her career, she has drafted and prosecuted U.S. and foreign patent and trademark applications in the fields of: medical devices; software; compositions; communications; display; biologicals; materials; chemical detection; and electromagnetic devices, in addition to protecting copyright and contractual business interests. Ms. Dobson holds a Bachelor of Arts in biology and health policy from the University of Rochester, a Master of Science in biochemistry, cell and molecular biology from Binghamton University, and a Juris Doctorate with an emphasis in technology commercialization from Syracuse University College of Law. She is admitted to the New York State Bar and is a registered intellectual property attorney with the United States Patent and Trademark Office. 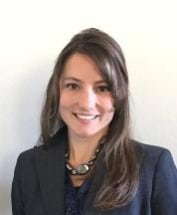 She is currently a member of the American Bar Association (ABA), American Intellectual Property Law Association (AIPLA), New York State Bar Association (NYSBA), Shreveport Bar Association, and a past member of the Boards of Directors for OA Foundation for Education, CNY IP Law Association and Cronos Healthcare Inc.